Beauty. Protection. Peace of Mind. Therma-Tru® has taken their already reliable Fiber-Classic® and Smooth-Star® doors and added a feature to improve them one step further. Previously, the edge stiles of Fiber-Classic and Smooth-Star doors were comprised of a laminated veneer lumber (LVL) which is multiple layers of thin wood assembled with adhesives. While this construction helps add rigidity, the wood would be exposed on the top and bottom of the door making it susceptible to moisture. Now, Reeb’s stock of Fiber-Classic and Smooth-Star doors include Tru-Guard™. So how exactly does Tru-Guard help stop water infiltration? 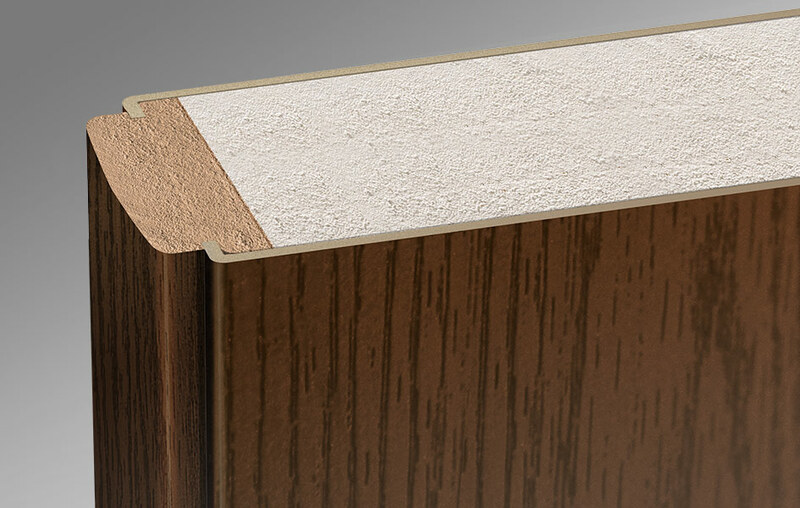 Tru-Guard adds a composite edge covering over the traditional LVL stile protecting the edge of the door. The top and bottom rails, which are also composite, now extend to the composite edge stile to cover the LVL component. The faces of the doors are fiberglass resulting in six sides of composite protection, eliminating water absorption in any exposure. All of Reeb's stock of Fiber-Classic and Smooth-Star doors come standard with Tru-Guard. Fiberglass doors with completely composite exteriors resist humidity and moisture on all six sides to help eliminate the risk of swelling, cracking, mold, and rot anywhere on the door. With no exposed wood on the door, there is also protection from wood-ingesting insects. Tru-Guard makes a good door even better and provides the same uncompromising quality with lasting beauty. Visit our Learning Center article to learn more about Tru-Guard.